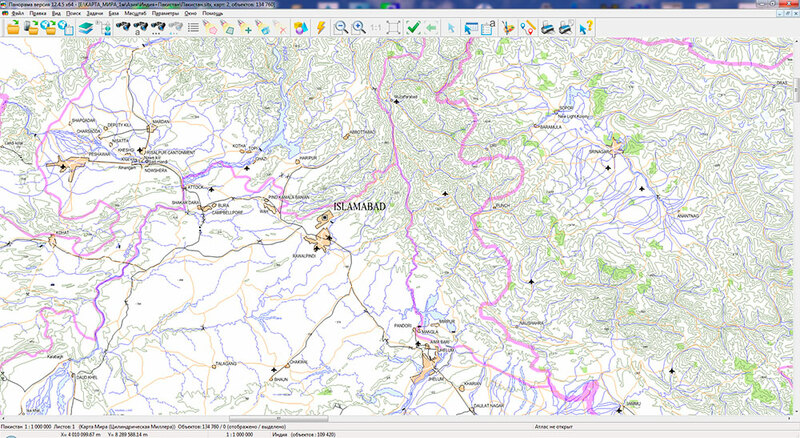 To work with a map in SXF format, you need "Digital classifier of geographical maps 1: 1 000 000" (1mOGK13g.rsc). 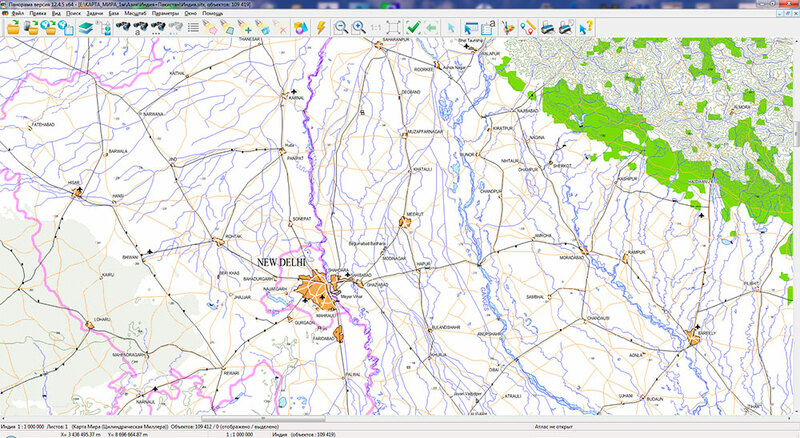 For acquaintance with maps in SXF format it is possible to use the GIS Panorama Mini. Map type - the World map, projection - cylindrical Miller, ellipsoid - WGS 84, state of terrain - 2000 year. Maps contain the following elements: relief, hydrography, settlements, road network, vegetation and soil, borders, names and titles. The maps presented are supplemented with semantic information on settlements (number of inhabitants, names in Russian), data about numbers of the main roads. The objects of the map are issued with titles of geographical names. Some objects in the boundary's layer contain information that is intellectual property. Information on your rights can be read in the relevant license agreement.